FCE Course Lesson 28 – FCE listening test PDF and Skills and Use of English 10. 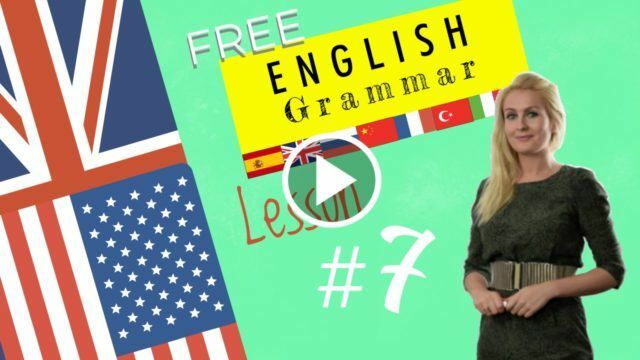 In this lesson you will listen to a conversation between a First Certificate teacher and two students about the Listening and reading sections of the b2 Cambridge exams. They give you advice on how to overcome reading with scanning and skimming. Do not forget to turn on the subtitles and read the transcript. Gordon opens his briefcase and takes out his teacher’s notes which includes a fce listening test pdf. He encourages Emma to be attentive to detail. They are getting through a lot of material. Terry is there to lend a hand if need be. In addition all three are getting along like a house on fire. GORDON: So Emma, please sum up what I have just explained to you. EMMA: Sure. Let’s see… the reading and listening parts are relatively similar as they require scanning. That means gathering the key information quickly, without reading or listening to every single detail. TERRY: Indeed. And how many passages are there in the listening section? EMMA: There are 4 parts of the listening section. The first part has 8 short extracts. In part 2, you will listen to a recording with one or more speakers, so this could be one person talking about an experience or perhaps a conversation. In the third part, there are 5 different speakers talking about a common topic and the last part is the same as part 2, there are one or more speakers so maybe it could be an interview or a conversation between people. TERRY: And how many questions are there? EMMA: 30 questions all together. 8 for the first part; a multiple choice question for each recording. 10 for part 2, you need to fill in the gaps in a text about what you have heard. Then, there are 5 for part 3. You need to match up various statements with the speakers, deciding which relate to whom. In the final part, there are 7 multiple choice questions. With all of the multiple choice questions, there are 3 answers to choose from. GORDON: Very good! Now tell us about the reading section. EMMA: There are three parts in the reading section of the exam. In the first part you have to read a long text and then answer eight multiple-choice questions which give you four possible answers. For the second part, there are paragraphs with a gap in each one where a sentence has been taken out. Overall, there are six sentences missing but there are seven possible answers, which means there will be one which I won’t need to use. In the last part, there is either a long text which has been split up into shorter extracts or there can be up to six short texts. For this part, there are 15 questions which need to be matched with information about the text. So for example, if there are six different speakers talking about a common topic, you will have to match the speakers with the questions. GORDON: And where do you write your answers? EMMA: On a separate answer sheet. TERRY: And why do people find listening harder? EMMA: If truth be told, there are lots of elements that you can’t control, like style of delivery, voice, pace and accent of the speaker. For example, if we consider the voice. If the speaker is very monotonous or very enthusiastic and energetic either of these things can throw you. TERRY: And what is a mistake lots of candidates make with the reading? EMMA: Not managing their time. In fact, it’s important to leave a few minutes at the end of the exam to review all your answers and check that you’re happy with everything. Lots of people get their timing wrong and they’ll end up making lots of silly little mistakes. Reading and Use of English part 7 is called Multiple Matching. Here the primary emphasis is on a candidate’s ability to follow a long text’s development or that of a group of up to 6 short texts. You are given 10 questions preceding 1 long text or up to 6 short texts. As a candidate you re expected to locate the specific information matching each of the 10 questions. The difficulty lays in the fact that similar ideas can be expressed throughout the text(s). Locating detail or a specific attitude or opinion means discounting ideas in other parts of the text that express similar ideas but don’t reflect the whole of the question with accuracy. Try reading through the whole text before looking at the questions. Practice your skimming and scanning for this reading and use of English activity. You can do so by reading at home and timing yourself, then setting yourself a limit to write a summary for instance, or to come up with a title (this means that you would not have read the title before). This will help you develop speed and accuracy. Similar vocabulary may appear in a passage and a question. Be careful as this is often done to distract and make you make mistakes. EXAM TIP FOR FCE LESSON fce listening test pdf with 28.